Newcastle United Under-23s coach Ben Dawson says the level of performance showed by Manchester United’s youngsters showed his players what they need to do to make it in the game. The young Magpies were outclassed on Monday night by a Red Devils side containing a trio of players that has made Champions League appearances this season. Striker Mason Greenwood stole the show with a fine performance, including a sensational free kick, but Angel Gomes and Tahith Chong also shone at St James’s Park as the visitors ran out 5-0 winners. Dawson admitted that his side has suffered a reality check and urged them to use the experience to improve themselves as players. He said: “It is the harshest of lessons against probably the best team we have faced this season. “I think it gave the lads an insight into what the Premier League is all about. “Man-for-man, they were better than us and I didn’t think we particularly worked well as a team to try and solve those problems. “As a consequence, where you are getting there a second too late, or you are a yard too short, that quality and pace takes over and makes it a really difficult night for you. “It’s disappointing, but I would like to think that they will use that experience to try and improve themselves and realise the level they want to be at. “We reminded them that it was a bit of a reality check. 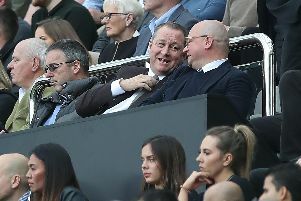 “Lots of them, throughout the season, have been talking about loans and experiencing this and that, but that was better than any League One or League Two side that we have played this season and better than any League One or League Two side where lads have been out on loan.